I have many SEAddons plugins and they are all excellent. My only comment is that the Advanced Forum changes the sequence of the forum posts so that the newest replies in a thread is at the top when all other stand alone forums like Invision have the replies to post going from oldest at the top to newest at the bottom. This make the Advanced forum seem upside down, is there any way to keep the sequence the same as all the other forum software? Jay The problem is that many of the people I am targeting to join already use forums like Invision so it will appear backwards for them. gs I have this Plugin too and I actually prefer this (at times) since it's more like an activity feed. Have you contacted SEAO? What I really with SE and 3rd-Party Devs would implement is the 7 sort options github uses - I regularly switch between these sorts. Very, very useful. I decided to give a try to redis trying to reduce my page loading time. Everything seems to be working fine, Redis is installed, Social Engine configured to run using Redis, except by the fact that when I look in the Redis Monitor there is no message of information be served by him. In general when Redis is working if you reload a page, some get command will appear in the redis monitor, but my case I only see "SELECT" "0". Someone already had any experience with this? Gabry Hello , before checking with monitor , flush your redis cache redis-cli FLUSHALL ... then command redis-cli MONITOR to see if redis works or not ... for me is working good , i can see activity from website in real time ... remember to close monitor after this as is eating a lot of resources.PS: remember also to start or restart your redis server , maybe is not working that;s way you can;t see anything. 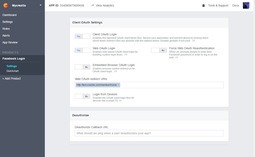 Donna You will want your host to enable mysqli. Most hosts already have that. The host I use is set up for SE sites and works great in php7 as well. I use cazaratech.com . 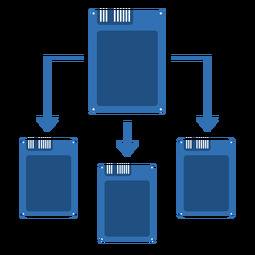 Managed Cloud Hosting and VPS Hosting for Phpfox, WordPress, and Drupal powered by Fast SSD Storage in RAID, NGINX and Intel Processors. I am trying to raise funds for my community using the membership system from Social Engine and I would like to display to my users the quantity of active memberships and the total raised the month. There is some way to create a widget for this purpose? Eugene This is a really good question. We have created different stats pages for few clients to track activity. What exactly do you want to track (posts, comments, likes, friendship requests, etc.)? After doing this change if still you face any issue, you may contact us here: support01@socialengineaddons.com We will be happy to help you out. 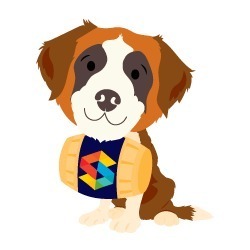 We're excited to introduce you to our latest team member - our SocialEngine Mascot! We need your help to name him. Details for this naming contest are in our blog post. You could win a bunch of great, free prizes! Whomever submits the best name will win items worth up to approximately $6,300 and five runners up will receive discounts worth up to approximately $1,700 each ! That’s a total of more than approximately $15,300 in value! Winner will receive a free Advanced SocialEngine license valued at $549 USD. *Free support is not included. Free – Zephyr Theme from Pixythemes. A free SEO / Sitemap Plugin from Radcodes. 50% off discount for any plugins from Radcodes. Choice of one free plugin from SocialEngine Mobi. 70% off any plugins from Hire-Experts LLC. Free – Full plugin bundle from SocialEngineSolutions. Five runners up will receive a 35% discount to purchase a SocialEngine license. $20 discount on one theme of your choice from Pixythemes. 30% off discount for any plugins from Racodes. Choice of 50% off of one plugin from SocialEngine Mobi. 20% off any plugins from Hire-Experts LLC. Any two plugins for 50% off from SocialEngineSolutions. Donna We have an additional prize to add! Free - Moderator Toolbox https://www.socialengine.com/marketplace/app/moderator-toolbox by Webhive. 5 Runners up - 50% discount off any plugin or theme purchase from Webhive. All SocialEngineAddOns Plugins - Package from SocialEngineAddOns worth $1,999! 5 Runners up - 50% off all Plugins and Mobile Apps from SocialEngineAddOns. We are excited to announce the release of our upcoming product PrimeMessenger in the second week of July, 2017 that will be seamlessly integrated with SocialEngine and the iOS and Android Mobile Apps for SocialEngine. PrimeMessenger (PM) is a platform for integrating rich, engaging messaging experiences directly into your SocialEngine Websites and Mobile Apps. Please read our blog for full details on the features of this product. Mikel Coreclark This new product may be the best addition yet for my site. I have not got the time or patience for app stores, google, iTunes, or others. so if I can just plug and play with this app then perfect. I will have to visit blog and get the info.